Acqua Plumbing Now offers customer care packages for preferred customers . Homes such as the one shown maybe just what you have. Maybe not in style or size but in age and your plumbing and sewer systems maybe the same in age and still very much so work the same. 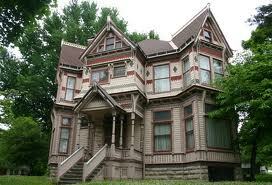 We offer packages for both older and newer homes. We are proud to offer this to all of our customers. Purchasing a home or Place of Business is one of the largest investments most people make in their lifetime. Protecting your investment is crucial. Owning a place of business or a home can be very rewarding but costly and routine maintenance is a must to keep those cost down, just as you would see the doctor for your health. Acqua Plumbing, LLC. is your "doctor" and we are here to help protect your investment, and keep you investment running like a well oiled machine. Your plumbing & sewer system should run with no issues, such as many machines do, but even those machine require regular maintenance or check ups. 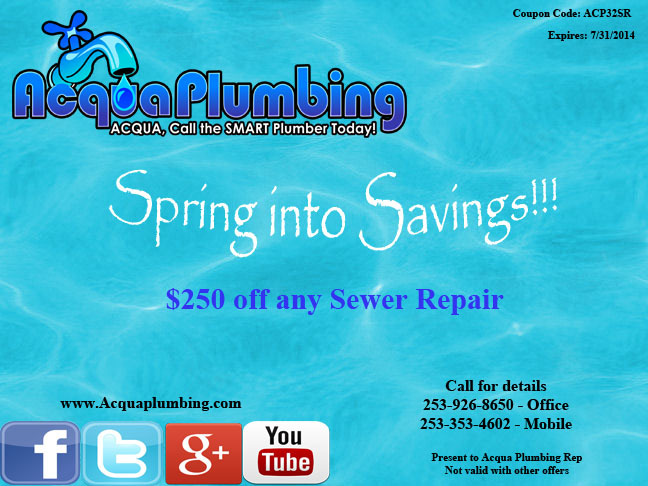 Acqua Plumbing Seattle-Tacoma's leading plumbing and sewer contractor is here for you with a solution!! 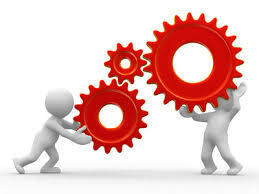 By purchasing our customer care package you will be our top priority. Acqua Plumbing's maintenance packages have endless benefits, that provide fast and friendly services. Preventative care is what we here at Acqua Plumbing are offering to you for your home or place of business. Even minor drips on faucets or running toilets can consume hundreds of gallons of water each month, costing extra money with your utility bills. Small main line sewer clogs can end up cost thousands in water , and repairs. 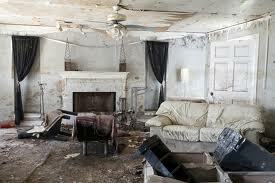 Your home or place of business may end up like the one in the photo here. Water and sewer water damage are big problems and not from just the initial cause but the mold, smells, and restoration involved. Test/ Inspect toilets for leaks, clogs, and proper operations. Sump / sewage pump-, Test and Inspect, inspect check-valve for proper operation, inspect discharge line for leaks. In your package, you will receive the Acqua preferred customer rate on all services, should your plumbing need repairs. You will, also, receive extended warranties on all work performed. Your package includes a warranty extended by 50% from the standard 12 months to 18 months on all repairs performed by Acqua Plumbing after this package has been purchased. 24 hour 7 day service with no trip charge or late night/Sunday fee. Designed for homes that have been built within last 30 years or less. Homes that have newer types of sewer and drainage systems. 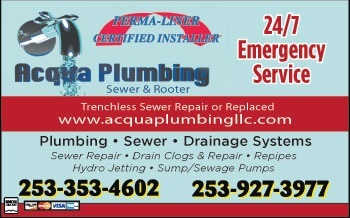 City of Auburn calls on Acqua Plumbing 24/7 for quality sewer repair and Sewer Cleaning services. Acqua Plumbing for sewer repair, and Sewer Pipe Lining needs in Auburn WA look no further than the Smart Plumbers at Acqua Plumbing. Our certified and licensed technicians are available 24/7 to clear and repair your clogged or broken sewers. When you have problems with Plumbing, call a Auburn Plumbing Company you can trust.